Bengaluru: Trouble seems to be mounting for Mallaya Hospital after, Lakshya P the child who was rushed to Mallaya hospital after having hurt his fingers while playing with his desk,has slipped into a coma due to medical complications that allegedly arose during a surgery of his hurt fingers at the Hospital. 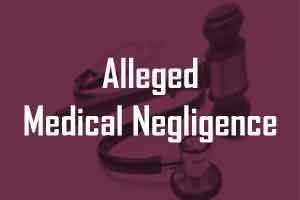 The family of the patient has alleged medical negligence on the part of the hospital. Lakshya has been in a critical condition for the last nine days. The doctors of Mallaya Hospital said that he had developed tension pneumothorax a condition that occurs due to complete collapse of the lungs, reports TOI. However, the father Purshottam alleges that the condition developed after his child was given anesthesia, inside the operation theatre. Despite being told that it was a minor surgery that would take 20 minutes, it took some two hours for the doctors to come out and tell the parents that the child has slipped into a coma because of weak lungs and heart reports DC. Lakshya was shifted to Manipal Hospital on June 10 late evening and has been on a ventilator since then. Meanwhile, the health department has sought a report from Mallya Hospital about the incident.